This will be short and sweet with no spoilers. It is no secret that I am not fond of Peter Parker. But in case you didn’t already know this, I discussed it in great detail in a previous blog post. I stated the reasons why I felt Doctor Octopus (Otto Gunther Octavius) aka Doc Ock, was the better Spider-Man. My reaction to Superior Spider-Man #31: Series Finale, a wonderfully crafted series, written by Dan Slott, and drawn and colored by various talented artists, is the same as when I read issue #30. A ginormous WHAT THE HELL? I read the series finale a couple of hours ago, before I even left the comic shop, and wanted to tear the book into a million pieces, or let the store owners cat poop on it. I figured my husband might want to read it, and Peter Parker wasn’t worth me spending another $5.99. I know about the digital codes, but my household prefer print media. 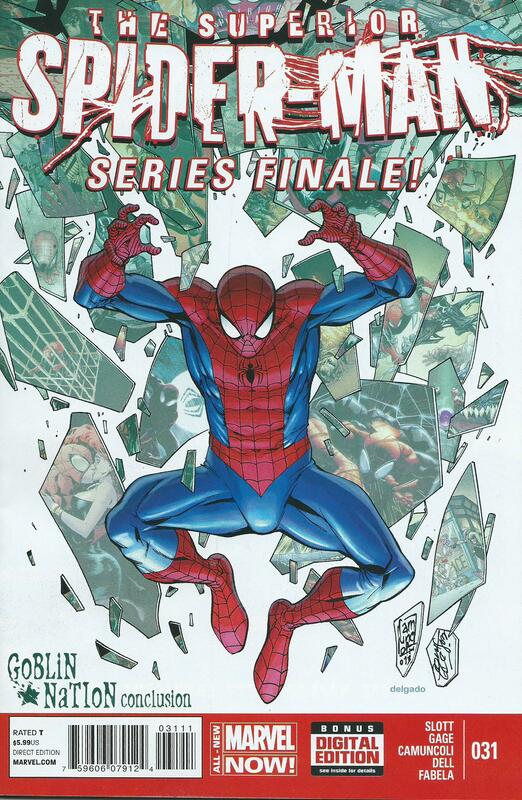 So, as soon as my husband read Superior Spider-Man #31: Series Finale, I am going to rip and rip until I get tired. That’s right. I’m taking Peter Parker out to the trash.